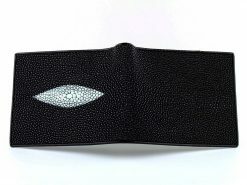 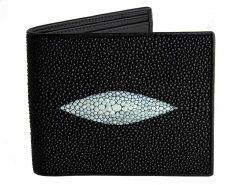 A brilliant green calfskin interior worthy of Kermit the frog, makes this black slate colored exotic stingray wallet stand out from the rest. 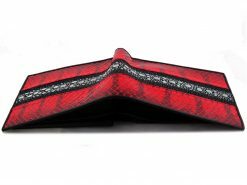 Polished and sanded to glossy finish emphasizing all the gorgeous, natural pattern. 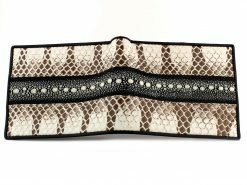 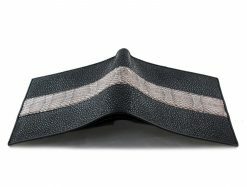 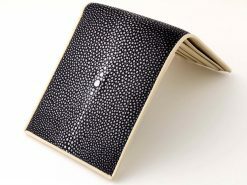 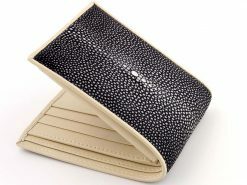 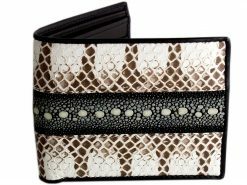 Stingray skin makes for a timeless wallet with have a classic feel of days gone by. 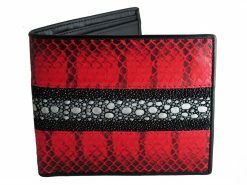 These exquisite wallets are durable and highly resistant to daily wear and tear. 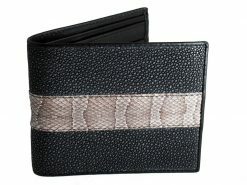 A classic unisex wallet suitable for men or women and popular with many of our customers.